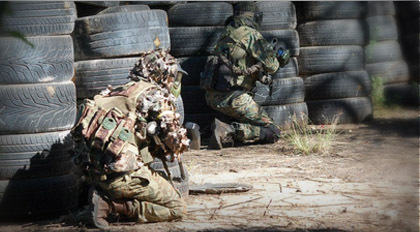 Birthday Paintball Parties, Corporate Paintball Team Building and Bachelor Paintball Parties. We also have credit card facilities for easier payments. playing field for all to enjoy. Our staff are vary friendly, helpful and safety concious at all times. The Killhouse at Awol is the latest addition at the field. It's based on the popular game Call of Duty's Killhouse. Although its not an exact replica, it still functions as a quick, urban game. Killhouse is a tactical field and used for team work based games where communication plays a crucial part of your strategy. Killhouse can be played by all types of players from beginners to the pro league players.